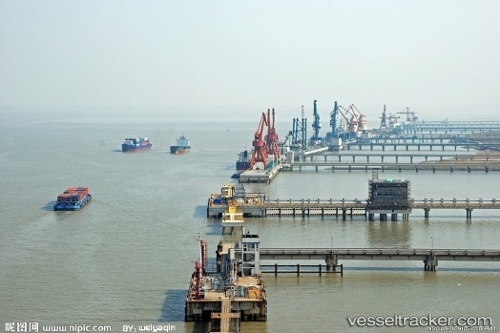 Singapore: Singapore’s Pan-United Corporation Ltd, through its 85.5%-owned Changshu Xinghua Port (CXP), has bought a a 90% stake in a multi-purpose port, Changshu Changjiang International Port (CCIP), for RMB436.5m. CXP will acquire 90% of CCIP from Changshu Binjiang Urban Construction Investment & Management (CBUC) under an agreement dated 18 February 2014. CBUC will retain a 10% stake in CCIP. The purchase is expected to be completed by 25 March 2014. CBUC is wholly-owned by Jiangsu Changshu Economic Development Group (JCED), which also owns a 5% direct stake in CXP. CXP expects to finance its purchase of CCIP with cash and bank borrowings. Located adjacent to CXP, CCIP will increase overall handling capacity by 60% to 16m tons per annum, and expand the current berth length from 1.7 km to 2.8 km. The total land area will also climb by 35% to 1.36 sq km and warehousing space by 67% to 175,000 sq m.